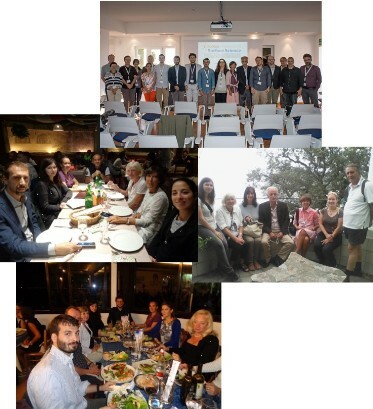 The 17th-19th October 2018 was held in Nice (France) the 3 ° edition of the European Symposium on Surface Science, the official biannual congress of EMASST association. The world of the material surfaces is playing a prominent role in the scientific and industrial fields thanks to the nanotechnology and nanomaterials and surface modification. They really are revolutionizing our lives. Advances on these topics were showed during the congress in particular: icephobic coating and materials, oleophobic and amphiphobic surfaces, atmospheric pressure plasma technologies for deposition of thin functional films, application of graphene oxide, coating for high temperature, membranes for water purification, photo-catalytic processes using semi-conducting materials like TiO2 and ZnO, environmental friendly glues to reduce human toxicity, influence of indoor chemical materials on human health in particular on bladder cancer. At the 3rd European Symposium on Surface Science partecipated researchers from european universities, research centers and industries such as: CNR (Italy), Leonardo-Finmeccanica (Italy), Fraunhofer Institute for Applied Optics and Precision Engineering (Germany), WTL LTd (Russia), Politecnico di Milano (Italy), MESAEP, Imperial College (UK), La Sapienza University (Italy), Manchester University (UK), Innovent eV (Germany), Complutense universidad (Spain), CIRA (Italy) and others... This wide participation confirms the interest and the great attention to the Surfaces Science and its daily fallouts. 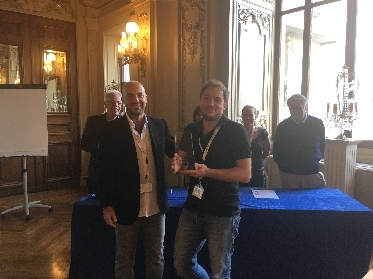 At the end of the Symposium, the Steering Committee handed the EMASST AWARD on Surface Science for the best scientific work in terms of originality and industrial application to Dr Giovanni Pulci, researcher of La Sapienza University of Rome - Department Chemical Engineering Materials Environment . His work entitled " Nanostructured and Nanocomposite Coatings Obtained by Electroless Deposition Technique" describes alternative and innovative applications of different metal-based electroless coatings: a new manufacturing technique for obtaining nanocomposite diffusion coatings based on the electroless plating and their high temperature oxidation behavior. Moreover the wetting properties of electroless coatings having tailored surface morphologies are illustrated and some possible industrial applications are suggested. To have more information and to download presentations and photos, please, visit the webpage of the congress HERE! "Testing of high performance, lightweight and sustainable materials"
Over the years, Zwick Academia Day has become an important event for science and industry where new opportunities and possibilities in intelligent materials testing are discussed. How can we accelerate research through the use of materials testing machines? How can new materials be established more quickly? And how can research and industry strengthen their partnership? These are just a few of the questions that arise each year at the Zwick Academia Day. A highlight of this event is the presentation of the Zwick Science Awardand 8,000 euros in prize money for the innovative use of a materials testing machine in research and science. Activities of EMASST for the restoration of the Crypt of Sant’Agnese in Agone in Rome. EMASST is involved in the preliminary activity of scientifical research, aimed to evaluate the state of preservation of the Crypt of Sant’Agnese in Agone in Rome. 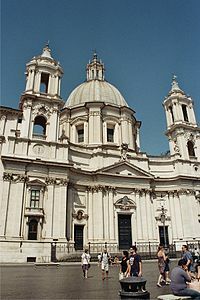 The Crypt of Sant’Agnese in Agone is placed at Piazza Navona, one of the main urban spaces in the historic centre of the city and the crypt is the site where the Early Christian Saint Agnes was martyred in the ancient Stadium of Domitian. In fact the Crypt was built on the rests of Stadium of Domitian. The crypt is currently closed to the tourists since, after its last renovation in the 1893, it was undergone to natural catastrophic events (floods of Tiber river, intense rains, etc…) that ruined the ancient frescoes present on the walls and ceiling of the Crypt. Great success for the 19th International Symposium of MESAEP !! The 4-6 October 2017 the 19th International Symposium on Environmental Pollution and its impact on life in the Mediterranean Region was held at the Headquarter of National Reserach Council (CNR) in Rome. More than 250 scientists and experts on the topics of the congress participated at the event. It was a great succesful for MESAEP. "State of art on Environmental health and well-being"
"Aerospace research as a seed of entrepreneurship for social welfare". 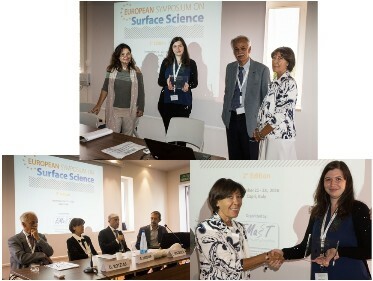 The 21st-23rd September 2016 was held at National Research Council the 2° edition of the European Symposium on Surface Science, the official biannual congress of EMASST association. The world of the material surfaces is playing a prominent role in the scientific and industrial fields thanks to the nanotechnology and nanomaterials, in fact they are already revolutionizing our lives. It is necessary to deepen the knowledge of surface interface and adhesive properties of these materials because their surface/volume ratio is vastly greater than that of conventional materials. As a result, at this time the researchers can develop innovative properties such as functional and extremes that have practical implications in daily life. For example in the field of biomedical implants, modifying surfaces at the nanoscale, better biological compatibility and an integration of the implant in the organic tissue is obtained than the actual implants. In aviation, modifying the properties of the surface wings at the nanometer level can overcome the problem of the ice nucleation and growth, increasing the safety of the flights. At the 2nd European Symposium on Surface Science partecipated researchers from european universities, research centers and industries such as: Airbus (Germany), Aksaray University of Technology (Turkey), Fraunhofer Institute for Applied Optics and Precision Engineering (Germany), Warsow University of Technology (Polond), PCB "ARGO" (Israele), University of York (UK), University of Crete (Greece), CIRA (Italia), JRC-Joint Research Centre (EU), Fritz-Haber-Institut der Max-Planck-Gesellschaft (Germany), CEA-LETI (France), WTL (Russia). This wide participation confirms the interest and the great attention to the Surfaces Science and its daily fallouts. 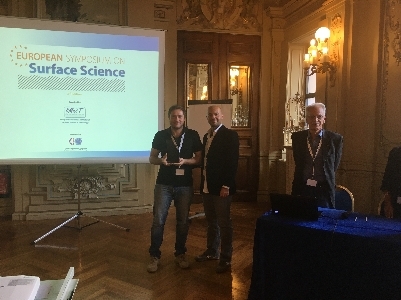 At the end of the Symposium, the Steering Committee handed the EMASST AWARD on Surface Science for the best scientific work in terms of originality and industrial application to Dr Nadja Felde, young researcher of the Fraunhofer IOF. Her work entitled "Advanced Roughness Analysis of Functional Nanostructures for Optical Applications" describes a new method and analysis procedure to determine rapidly surface roughness at micro and nanoscale of functional surfaces which have new and advanced properties (self-cleaning, anti-fogging, anti-icing, oleophobic).